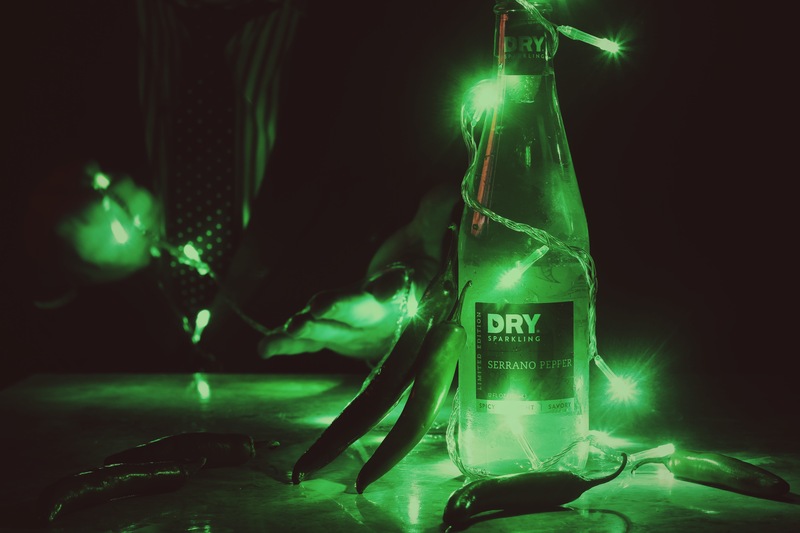 Where to get: Dry Sparkling is distributed across the U.S. You can find it in stores like Whole Foods and Target, among others, but the best way to find the retailer nearest you is to use the company’s online soda locator. For a full list of stores that carry Dry Serrano Pepper, click here. Nose: A subdued pepper smell. Imagine pulling a pepper out of the fridge and then cutting it open. The cold from the refrigerator will slightly dull the pepper’s strong aromas. That’s what I’m getting here. Definitely Serrano/green pepper, just subtle. Taste: Refreshing; green pepper; brisk carbonation; crisp. For a soda that bases its flavor on a pepper, this is surprisingly very drinkable. Not overwhelming at all. It’s kind of like drinking a flavored tonic, infused with the crisp carbonation of a lemon-lime soda (without the lemon-lime flavor). The pepper really comes through. It’s nice and mild. Not particularly spicy. Anyone should be able to handle this. The initial sip has a savory characteristic from the pepper, and as it fades you taste just a hint of sweetness near the end. I think you’ll be surprised just how brisk and light this drinks. Finish: Definitely not as strong as the initial sip. Bubbles continue to dance along your tongue as the soda’s sugar briefly reveals itself before going back into hiding. 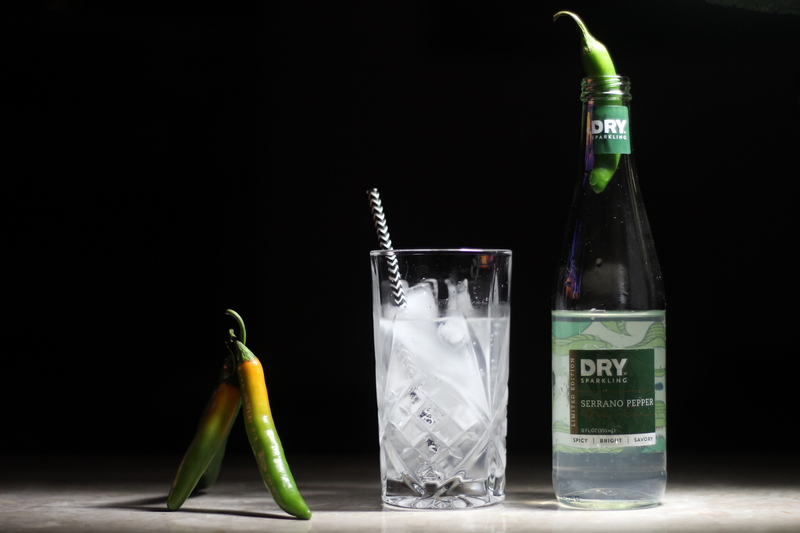 Rating: Dry Sparkling Serrano Pepper is one of the most surprising sodas you’ll drink. Coming in, I expected something harsh and abrasive. I mean, it says on the label “spicy” and “savory.” Those aren’t exactly typical qualities of a soda. But I wouldn’t call this a spicy soda, rather it’s more refreshing and crisp than anything else. The pepper flavor is strongest on the initial sip before quickly fading in favor of mild sweetness. It drinks like a pepper-flavored tonic. Savory, then slightly sweet. Like my ex. But overall, this is very mild and drinkable, and these are the two characteristics that make Dry Serrano Pepper work as a beverage. I hesitate to say this is a soda for only the adventurous because I really do think more than just a fraction of soda drinker would like this. That said, it’s still pepper soda. The idea alone will be enough to scare many away. And if you’re not a pepper fan, I wouldn’t travel down this road. When I first started drinking this, I thought I’d rate this three stars, but by the end it’s clear that would be too low. Just the fact that I could get through an entire pepper soda and enjoy it says something about the craftsmanship of Dry Sparkling. Get Serrano Pepper while it lasts. It’s only here until August 2016.